“Looking for Comedy in the Muslim World ” is comedian Albert Brooks’ seventh film as writer / director / star, and in the comedy world, it’s as hotly anticipated as a new season of the Sopranos is in New Jersey. 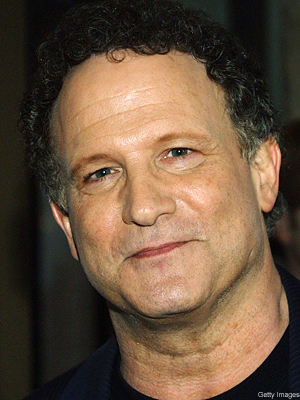 While Albert Brooks may be best known as the voice of Marlin, the father of the lost fishie in “Finding Nemo ,” to many comedians, Brooks is just as influential and revered as George Carlin or the late Richard Pryor (Jon Stewart recently called Brooks a “comedy god”). Throughout his career, Brooks has personified a brand of intelligent, low-key humor that’s influenced works as diverse as “Seinfeld ,” “Sideways ” and the writings of David Sedaris . After performing as a stand-up for years, Brooks honed his talent as a filmmaker in a series of shorts aired during the first season of “Saturday Night Live .” Since then, the man who was born Albert Einstein (really), has gone on to make some of the most venerable comedies of the past 25 years. 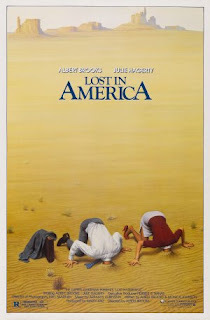 Considered by many to be Brooks’ masterpiece, 1985’s “Lost in America ” is about what happens when you make a crucial, life altering decision... which turns out to be a huge mistake. 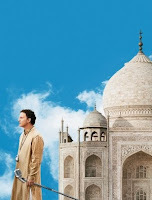 Brooks plays David Howard, a yuppie ad exec who, after losing a promotion and his temper, finds himself suddenly unemployed. Rather than look for another high stress job, however, David convinces his wife Linda (Julie Hagerty) to quit her job as well, cash in their savings, buy a huge RV and hit the road in search of America and themselves! Only, as in “Easy Rider ” (albeit with less dire results), things don’t work out as planned, particularly when the liberated couple hits Las Vegas. Flawed only by a somewhat rushed conclusion, “Lost in America” is as much a time capsule of the Reagan era as “Top Gun ” or “Wall Street ”.... only much funnier. Brooks next tackled much larger issues in 1991’s “Defending Your Life ” (his only film not co-written with Johnson), a parable of sorts about death and, moreso, the life that precedes it. Brooks is Daniel Miller (another ad exec), who, after dying in a car accident on his birthday, finds himself on trial in Judgement City, a place where we all go after we die to determine where we’ll go next: On to the Great Reward, or back to Earth to give life another shot. Daniel wasn’t necessarily a BAD person, but as his life (actually lives, as a visit to the Shirley-Maclaine-hosted Past Lives Pavilion shows) is painfully played out for review, he comes to realize that his was one not well lived. This is in stark contrast to the life of the vivacious, brave and joyful Julia (Meryl Streep), another recently deceased with whom Daniel finds love in the afterlife. While watching to see if Daniel finally, FINALLY learns his lesson, you can’t help but contemplate how you live your OWN life, and it’s not a preachy lesson at all. The movie features some terrific supporting performances by Rip Torn and Buck Henry as big-brained Judgement City attorneys a hilarious bit about locking yourself IN a car. Brooks’ next angst-fest dealt with an issue to which many of us can relate: The often frustrating relationship with one’s “Mother ” (1996). After his second divorce, sci-fi writer John Henderson decides that all of his problems with women stem from a lifelong dysfunctional relationship with his mother. So he moves back in with his widowed Mom (Debbie Reynolds) in an attempt to fix that relationship so he can move on. “Mother” deals with that sometimes painful, but necessary epiphany when we no longer see our parents as mythic beings (benevolent or evil, whatever the case may be), but rather as human beings with all those inherent faults and desires. The movie also features some too-true bits about attempting to explain modern technology to septuagenarians. In the 1999 Hollywood fantasy, Sharon Stone plays Sarah Miller, “The Muse ” to Brooks’ blocked screenwriter, Steven Phillips. Sarah is supposedly a Muse from Greek mythology, one whose specialty is inspiring creative types in Tinseltown, but for an ever-escalating fee. Steven hires Sarah, but, of course, things don’t go as smoothly as planned. The theme of vanishing inspiration is an issue that’s plagued the neurotic Brooks for apparently his entire career (one legendary Tonight Show appearance in the 70s saw Brooks sitting in a chair telling the audience he’d run out of material), but ironically, “The Muse” is his weakest film. Stone is more annoying than inspiring, as is Elton John’s somewhat strained instrumental score and the laughs are somewhat slim. The film’s greatest strength is actually its ambiguity.... we’re never quite certain whether Sarah is literally the daughter of Zeus or just a really smart opportunist who knows the right buttons to push in the egocentric world of Hollywood. Brooks’ onscreen persona is most often compared with that of Woody Allen , particularly in their 70s and 80s work. True, both perfected the kind of neurotic, self-absorbed, menschy saps whom you can’t help but like despite their many shortcomings. But the key difference between the two is relatability. Allen’s alter egos always retain an air of New York erudition that can be alienating. No matter how pathetic the Allen surrogate may be, he still drops enough references to Kirkegaard, Ingmar Bergman and Cézanne to distance himself from the so-called “everyman.” Brooks’ characters, by contrast, buy talking teddy bears at supermarkets and feel no compunction about working in the trenches of popular culture. Viewers laugh at Woody Allen, but WITH Albert Brooks. Despite this likeability and a masterful comic timing, Albert Brooks’ dry wit and languid pacing can be considered an acquired taste. We don’t agree with this assessment, but even if you do, remember that, as with most acquired tastes, be it an aged Gruyere cheese, a single malt scotch or peanut butter, banana and bacon sandwiches, the films of Albert Brooks are well worth the acclamation. And we pretty much never lie to you.